Maple, ON – Today pregnancy is treated more like a medical condition rather than a natural, normal process. The use of medical interventions in the form of drugs and surgery have become very common, like pitocin, epidurals, c-sections, and episiotomies. My mom tells me stories of how she and my dad were delivered by a midwife in their little southern Italian village decades ago. There were no hospital rooms and no medications. Pure, natural births. At our chiropractic office, we strive to foster an environment where our patients are empowered, trusting, and confident in a pregnancy and birth process that is innate and natural. Chiropractic care, amongst other holistic professions, offer support for a natural, wellness pregnancy so that birth can be easy and safe for both mother and baby. Pregnancy chiropractic care is safe and gentle and it helps balance the pelvic and spinal structures. This not only helps relieve pregnancy-related back pain, hip pain or leg pain, but it also helps minimize tension on the uterine ligaments and contraint on the uterus. This is important as a uterus free of intra-uterine contraint will provide for a safer environment for fetal position and subsequently an easier birth. One of the initiatives at Back To Health Chiropractic Centre is to connect like-minded people who want to share their ideas, thoughts, and experiences about the wellness pregnancy. How we accomplished this is with a Facebook Group called the Vaughan Wellness Pregnancy Support Group. The purpose of the Vaughan Wellness Pregnancy Support Group is to educate mothers-to-be in Vaughan and the surrounding areas about the vast resources that support a natural, wellness pregnancy so that both mom and baby can experience a healthier, easier, and safer birth. Feel free to check out this group and join. 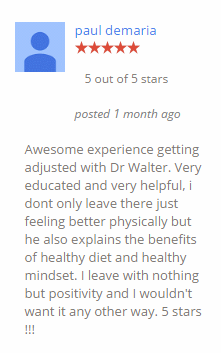 You can share your thoughts, ideas, and experiences with holistic practitioners, chiropractic, Webster Technique, other support therapies, exercises, yoga, classes, workshops, seminars, nutrition, supplementation, stress relief, and goals/vision that support a wellness pregnancy. We would love to hear about your holistic, wellness pregnancy experience. Also, share your experiences, thoughts and ideas about home birthing, midwife care, doulas, and lactation consultants. This is a group of like-minded people and experts that will support and encourage other mothers-to-be to trust in the natural process of birthing so they can experience pregnancy and birth with peace, joy, and love, versus stress, fear, and doubt. Vaughan Wellness Pregnancy Support Group was launched by Vaughan chiropractor, Dr. Walter Salubro on October 29, 2015 and it has already grown to 51 members in it’s first week.